Miru 1day is a daily disposable contact lens. This makes them both comfortable and convenient as there is no need to bother with daily cleaning, storage, or routine lens care. 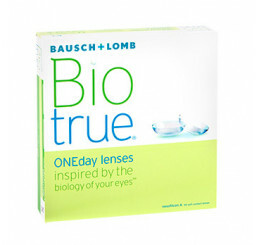 Package of 30 lenses. Miru lenses bond naturally with tears because their molecular structure closely mimics the structure of oligosaccharides found in the mucous layer of the tear film. 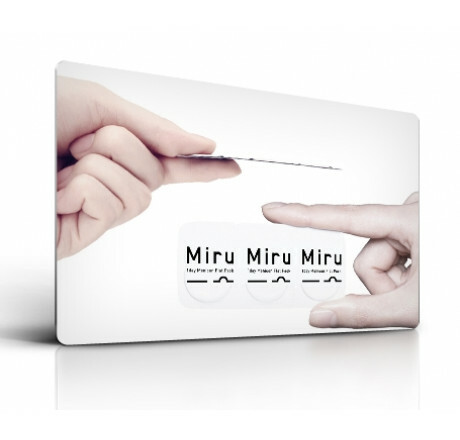 The Miru 1day Flat Pack requires significantly less force to open than a conventional blister pack. 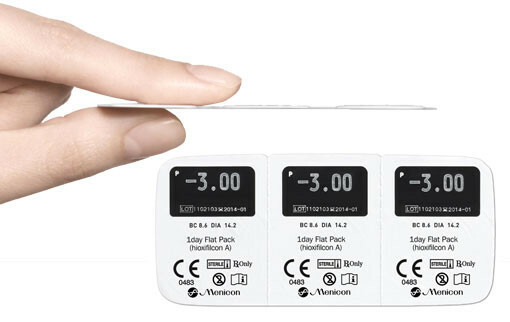 Miru 1day Menicon Flat Pack is the world's thinnest package for daily disposable and frequent replacement contact lenses.